﻿ Shifnal Home Computer Coaching, Shifnal Private In Home Computer Learning and Training. Shifnal Home Computer Training includes Haughton Home Computer Coaching, Sheriffhales Home Computer Coaching, Kemberton Home Computer Coaching, Tong Home Computer Coaching and Home Computer Coaching and the surrounding villages. 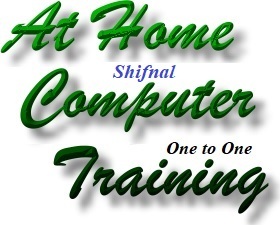 A&A is pleased to offer Shifnal Personal Computer Training - One to One Computer Coaching in Shifnal Shropshire. Our philosophy is that "you do not need to be a mechanic to drive a car". Likewise, you do not need to be a computer engineer to use a computer. Most Shifnal Computer Coaching will be handled by Ryan Genner and Kevin Genner. 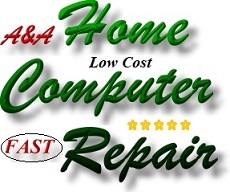 Shifnal In-Home Personal Computer Coaching offers plain English One to One coaching in the privacy of clients home. Typically, we will teach people useful shortcuts. Eg; to grab an image of the computer screen simply press the CTRL key and the PrtScn key simultaneously. This image will then be in memory and can be pasted into a document or paint program). We also cover the basics and guide people through using the internet, Microsoft Word Coaching etc and we can tweak peoples systems, setup - configure printers, setup antivirus software, setup online banking etc and much more. Free Shifnal Personal Computer Training is available from certain Telford libraries. We have no relationship with suppliers of these courses, but we commend them and believe that Structured Computer Training in a classroom environment has a role to play. 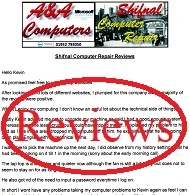 We offer Shifnal Personal Computer Coaching. The difference is that we do not hold classes; we coach individuals of all ages in the aspects of computing which are important to them. So; rather than teaching students in a class via a Shifnal Computer Course; we provide a personalised, one to one Shifnal Computer Training (Shifnal Shropshire Computer Coaching) service. A&A provide a custom (tailored) service for those who would rather not sit through a Computer course, those who would rather not travel and for those who wish to be coached according to their requirements. Our personal computer coaches will visit and provide computer training for people in the privacy and comfort of their own home. The Cost? Only £25 per hour.